November 21, 2018 By Elizabeth Lindemann 4 Comments / This post may contain affiliate links. 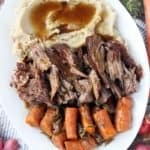 I’m writing this post NOT ONLY to bring you this delicious Instant Pot Pot Roast (with mashed potatoes and gravy that all cook at once! 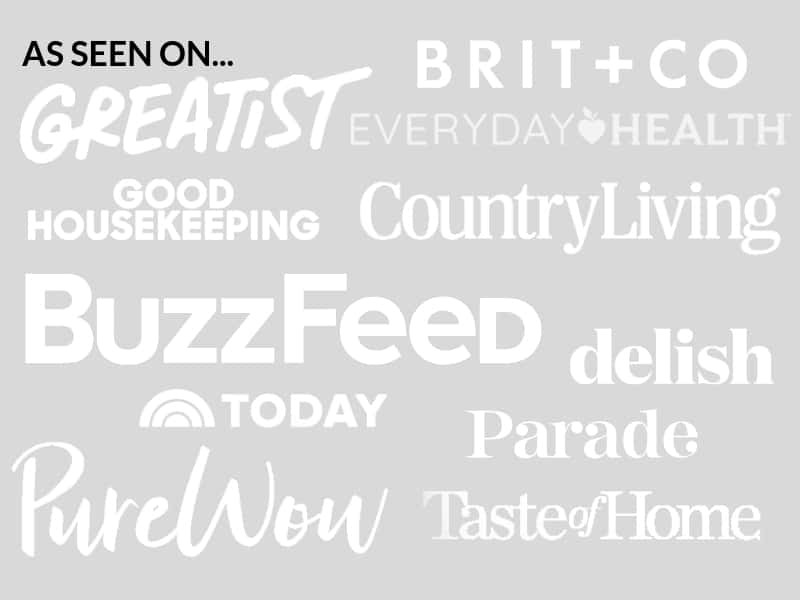 ), but also to let you know I’m partnering with ButcherBox to bring Bowl of Delicious readers an exclusive deal you’ll love! And I’m talking about a GREAT deal. Ready for this? FREE BACON FOR LIFE. You’re welcome. Let me get right to the details about this promotion. Then, I’ll talk about this awesome pot roast. From now until the end of November, ButcherBox is offering Bowl of Delicious readers an awesome deal- FREE BACON FOR LIFE in all your orders! PLUS, free shipping AND $15 off. 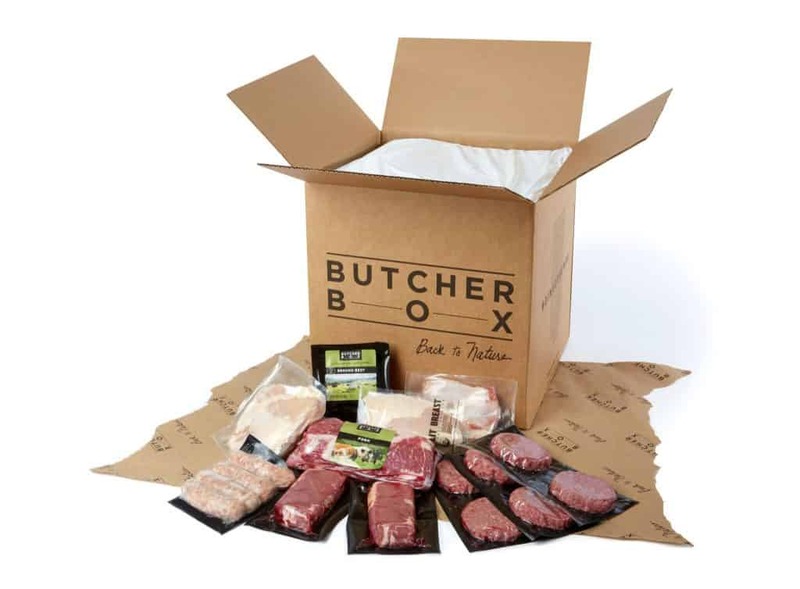 ButcherBox is a subscription service that delivers high-quality meats right to your door. They provide100% grass-fed and grass-finished beef, free range organic chicken, and heritage breed pork, raised free from antibiotics and hormones. And their bacon doesn’t have any added sugar or nitrates/nitrites. They have tons of cuts to choose from- everything from whole chickens to filet mignons to pork chops to chuck roasts. If you’ve tasted both conventional meat and grass-fed/antibiotic-free meats, you know how different the taste is. But did you know that there’s a difference in nutritional value as well? Grass-fed beef is lower in the bad kinds of fat (saturated) and higher in good kinds (Omega-3s). 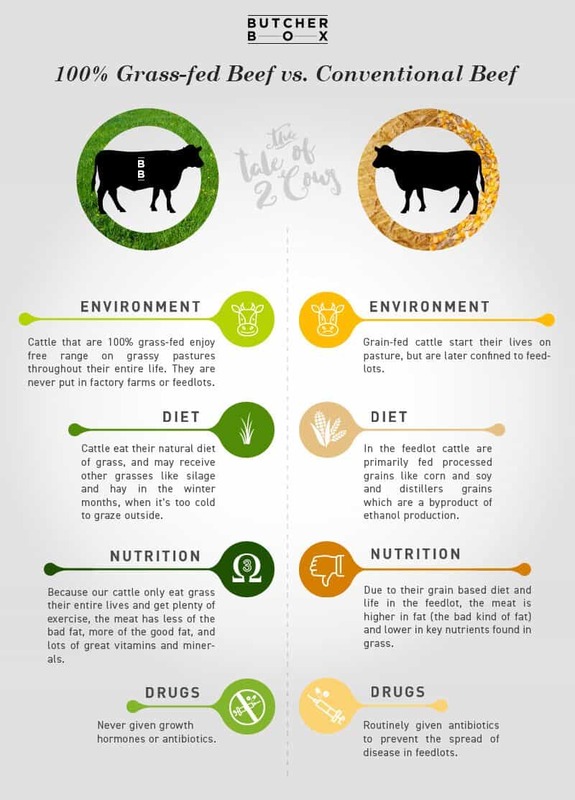 It also has more vitamins and minerals, due to the cattle being able to exercise more and eat grass, which is what nature intended. It’s also a much more humane way to raise animals- to let them roam freely and graze on grass, rather than be confined indoors. And they’re never given antibiotics, either. 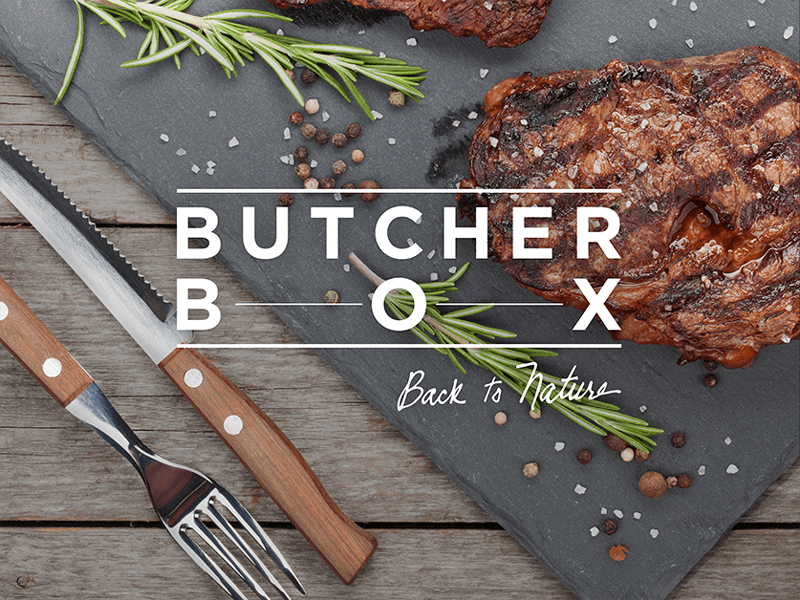 ButcherBox makes it easy to purchase and eat high quality meats without even thinking about it. I don’t know about you, but I often feel overwhelmed with all the choices at the grocery store. And, if I’m being honest, if I see a conventional steak next to a grass-fed one and it’s a lot cheaper, I’m usually tempted to go the cheap route. A ButcherBox subscription takes the thinking out of it. I made this Instant Pot Pot Roast with a bottom round roast from my very first ButcherBox. You can watch this super dorky video of me (and baby Ella) opening up the box right after it got delivered to see what’s inside and how it was packed. 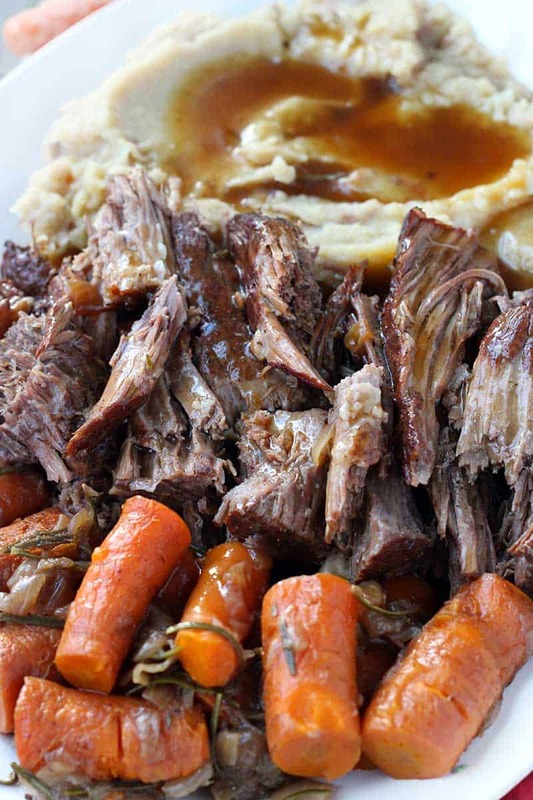 The pot roast was SO flavorful, and so easy to cook up in the pressure cooker! And best of all, I cooked up the potatoes in the Instant Pot at the same time, and made gravy from the drippings in the pot after everything was done. So this was a really easy one-pot meal. One of the best features of the Instant Pot is that you can sear the meat right in the pot before cooking it, rather than getting another pot dirty doing it on the stovetop. After seasoning the beef roast VERY generously with salt and pepper, I seared it on all sides in some olive oil right in the pressure cooker. After, I sautéed some onions and then deglazed with red wine, loosening up all the browned bits that accumulated from the beef and onions, which added SO much flavor to the base. 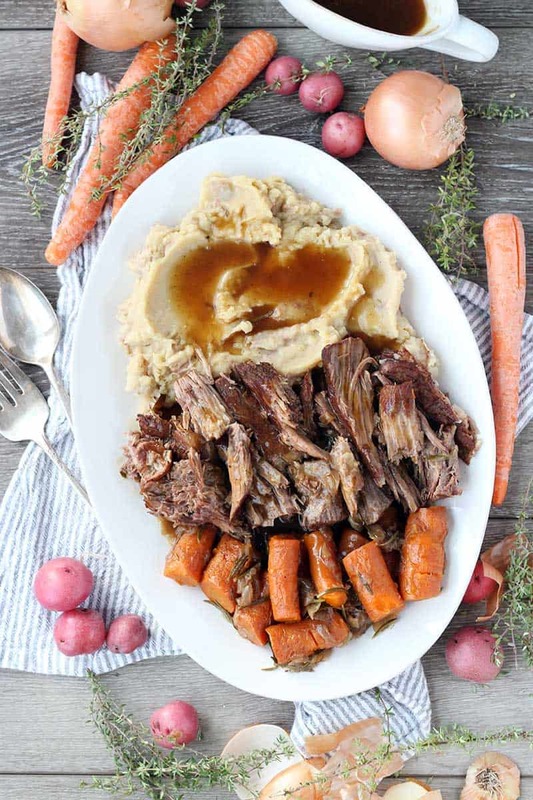 A pot roast cooked in the oven could take about 4 hours, but this Instant Pot version requires only 60 minutes of cooking time! With the prep time and the time it takes for your Instant Pot to come up to pressure and release, the whole thing took about two hours to make, which cut the time in half. I did something a little different with the mashed potatoes. Instead of using milk and butter, I just thinned them out with some of the drippings from the bottom of the pan after everything cooked, and used olive oil instead of butter. Then, I added a cornstarch slurry to the drippings to thicken them up and make a gravy. Yum! If you like this Instant Pot Pot Roast with Mashed Potatoes and Gravy, you’ll love this Instant Pot Pulled Pork, this Instant Pot Corned Beef with Cabbage and Buttered Potatoes, and this Irish Lamb and Potato Stew. And by the way, you can make this pot roast using a chuck roast or a brisket, as well. Don’t forget to check out ButcherBox to see if a home delivery of super high quality (yet affordable) meats is a good fit for you! 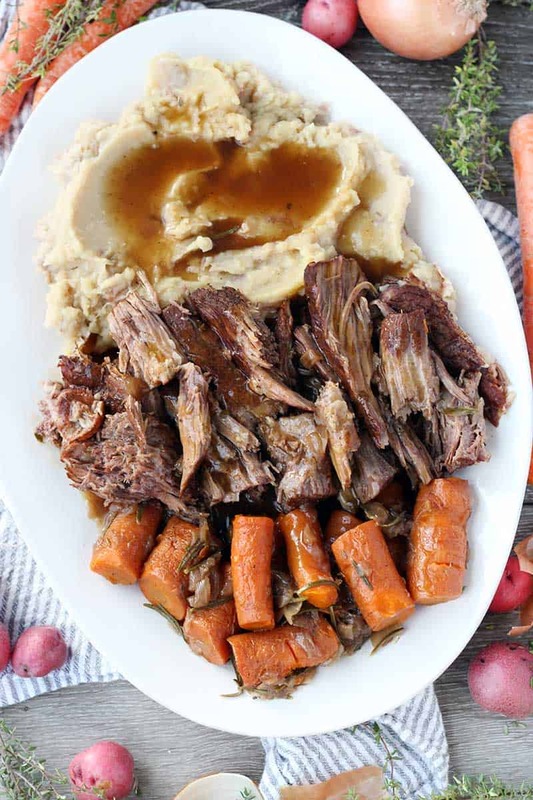 This Instant Pot Pot Roast cooks to melt-in-your-mouth perfection, along with mashed potatoes and gravy that all cook at once in your pressure cooker! Turn your Instant Pot to the "sauté" setting and wait for it to heat up. Pat the beef roast as dry as you can with a paper towel. Season generously with kosher salt (about 1 tablespoon) and black pepper (about 1/2 tablespoon). Add 2 tablespoons olive oil and brown the beef roast on all sides, about 3 minutes per side. Remove to a plate or shallow bowl (make sure it has enough depth to catch any runaway juices). Add 2 tablespoons olive oil to the instant pot and add the onions. Sauté until softened and starting to brown (about 5 minutes). Add the red wine to deglaze, using a wooden spoon to scrape up any browned bits stuck to the bottom of the pot. Continue cooking on the "sauté" function until almost all liquid has evaporated from the wine (about 5 minutes). Turn the sauté function off. Add the carrots, rosemary sprigs, and thyme sprigs to the instant pot and stir. Place the beef roast on top, along with any juices from the plate. Pour the beef broth on top. Place the wire rack insert that came with your instant pot on top of the beef, and place the potatoes on top of it. Cover the instant pot and make sure the sealing valve is set to "sealed." Set the instant pot to manual on high for 60 minutes. Allow the pressure to release naturally for 10 minutes, then use a wooden spoon to turn the sealing valve to "venting" to release the rest of the pressure. Remove the potatoes to a large bowl and the beef to a platter or rimmed baking sheet (something that will catch the juices). Remove the vegetables with a slotted spoon and place with the beef, and discard the rosemary and thyme sprigs. Shred the beef into large chunks with two forks. Mash the potatoes with a potato masher and add the remaining 1/4 cup olive oil to them. Add 1 cup of the drippings from the bottom of the instant pot and continue mashing until desired consistency is reached. Season to taste with salt and pepper, if necessary. Mix the corn starch with 1/4 cup of water to create a smooth slurry. Turn the Instant Pot to the "sauté" setting again. Once the drippings are boiling, stir in the corn starch slurry until thickened (about 2 minutes). Season to taste with salt and pepper. Serve the mashed potatoes topped with the pot roast and carrots/onions, topped with the gravy. You can read more about Bottom Round Roast, and other cuts of beef, on the ButcherBox website. More commonly, chuck roast is used for pot roast. You can feel free to use this cut, or brisket as well. Here's a great primer on the best cuts of beef for pot roast. This recipe is 100% paleo/whole30 compliant except for the cornstarch. Omit it and serve with drippings rather than making a gravy (or use arrowroot powder) to make it compliant. Was this made in a 6-quart instant pot? Yes! I should clarify that in my recipe notes- I’ll add that in now. Thanks for asking! Delicious! We had this tonight!